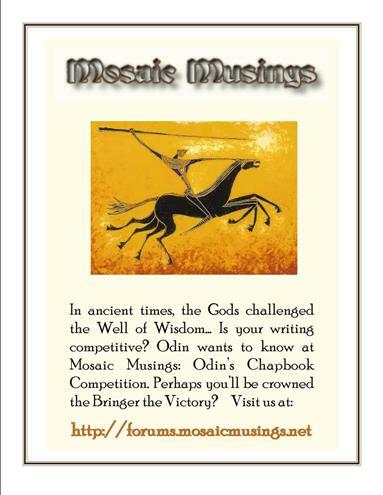 I'm reposting this topic here in the Noms and results forum as well as Rus' posting of this in the IBPC News and Announcements forum. As many of you know, a few months ago, the maximum number of entries any IBPC board could enter in a month was reduced from 3 to 2. One issue with doing this, is that it was just within the past year that another IBPC board had all three of their entries place, a hat trick. So what about that third poem? There are other ways to look at how the third poems are missing. You who are on the forums could tell me when a third place poem on a given board placed over its first or second choice. 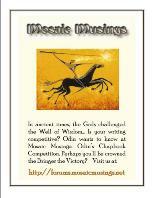 Those number-3 poems can no longer be sent to a judge, unless we have a Muse Motel. The Muse Motel was conceived as a motel in the sense that it is not anyone's home board (and allow me to use the pronoun "you" from here on out). It should keep you from having to wander away to find another home board, which will agree that your poem ought to go onto IBPC for judging. It is for poems that never made it before a judge, but left you scratching your head as to why. The Muse Motel is to be workshop-oriented. Therefore, you will need to accept feedback given in the spirit of being helpful or constructive, just as this is how you give feedback to others. Some of the winningest and placingest IBPC poets of the past decade have volunteered to staff as moderators. They are: Laurie Byro at the Front Desk, Brenda Tate the Pool Attendant, Jim Zola the Banquet Captain, Catherine Rogers the Concierge, and Yoly Calderon-Horn the Bell Captain. I'm also in there as the Housekeeper. 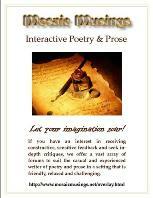 Yes, and you don't have to have a poem in the Vacancy area in order to help a poet bring his or her poem into IBPC shape. 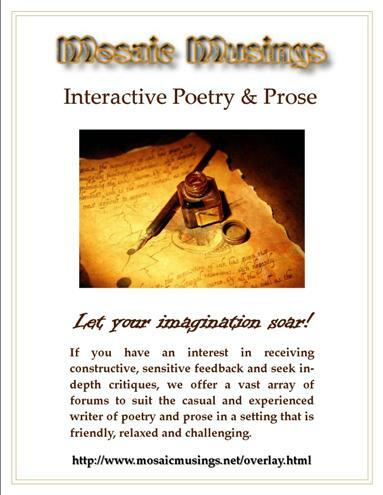 If you would like to have a poem that has not been selected for IBPC, but "ought" to have, or if you are just left wondering why it may not have, then Register or Log In, and post it into the topic area called Vacancy. There are requirements that have to do with what constitutes an eligible poem, and what you need to do in order that your poem posted into the Vacancy area is considered for the next IBPC competition. So again, read the House Rules sticky note. Here is a link to the motel: Muse Motel.